This is another in a series of posts in which we’re featuring some of our many interesting and impressive colleagues. Stay tuned for more. Andrew Podoll, SIUC alum and former GK-12 HEART fellow, local environmental educator, and founder of Project Eco ROVER, has been a friend and colleague of Little River Research & Design for over four years. In those years, Andrew has taken our in-house Emriver models all over Southern Illinois and taught hundreds of people, from local public school teachers to Carbondale Boys & Girls Club members, to college students at SIUC, to Carbondale Farmers' Market shoppers. Today, for the first time, Andrew drove away from our headquarters in Carbondale, Illinois with his very own Emriver Em3 in tow. He was able to make the purchase with a donation from Old National Bank to his nonprofit Project Eco ROVER. 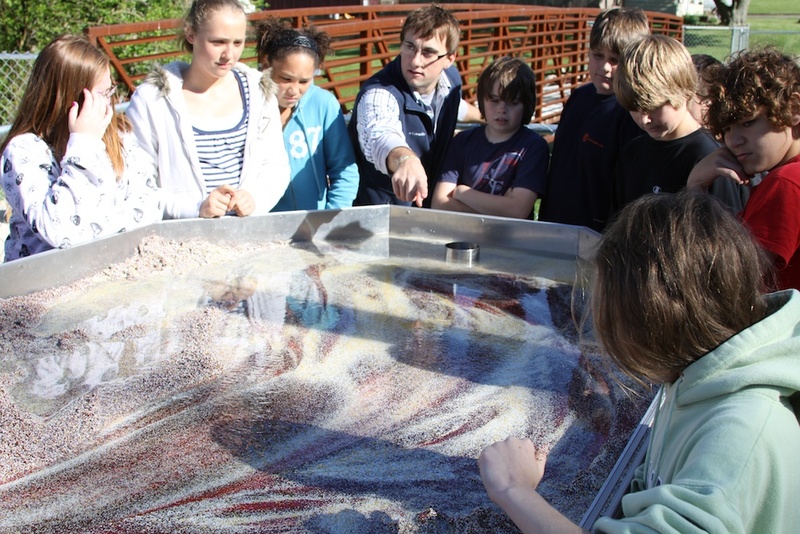 Andrew started Project Eco ROVER as a way to bring interactive science education to schools, where budgets for field trips and special projects have been reduced in recent years. 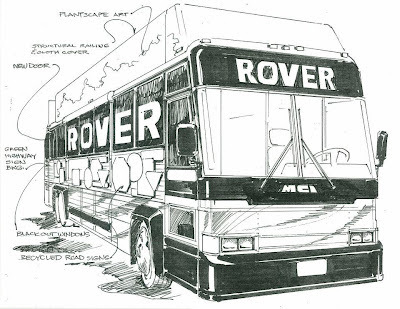 The “ROVER” in Eco ROVER stands for Repurposed Outreach Vehicle for Education and Research. In other words, it’s an old charter bus that Andrew bought and is turning into a mobile, interactive science classroom. When all is said and done, it’ll have Emriver models, a vegetated roof, a beehive, and other interactive exhibits, and it will visit schools and student groups around Southern Illinois and Indiana. Check out some conceptual sketches here. Andrew hopes to one day install Emriver models in the cargo bay of the bus, but for now, he says his Em3 will serve as “the hub” of the curriculum on board the ROVER. Just like rivers connect many different forms of wildlife, Andrew says the various exhibits on the ROVER will be integrated around the Emriver. He says his goal is “to help people understand the area they live in and how they’re connected to a larger region” through a watershed. Three schools in Southern Illinois have already invited Project Eco ROVER to visit during the upcoming school year. We’re so pleased that Andrew will use his model exactly as it’s intended—as a tool that can travel and be shared and touch an entire community. And in this case, it’s the community in which LRRD has lived for ten years. 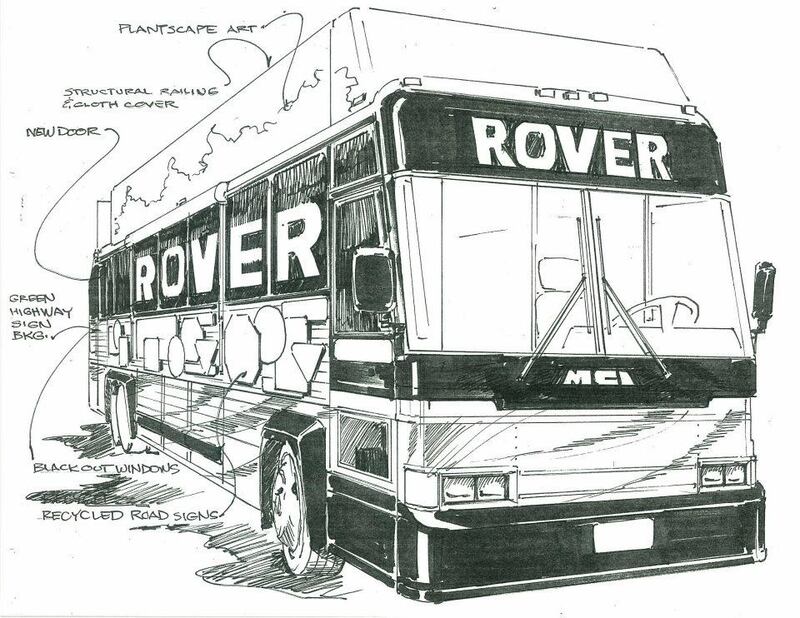 We can’t wait to see the ROVER rolling, now with an Emriver on board.